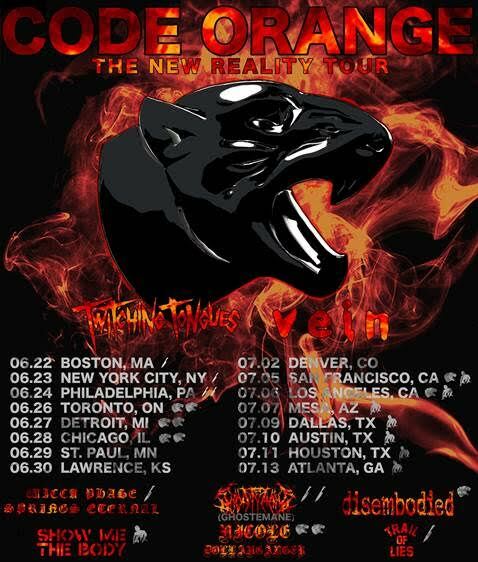 Grammy-nominated group CODE ORANGE has announced a North American headline tour which will feature support from TWITCHING TONGUES and VEIN. "The New Reality Tour", which gets underway June 22, will also feature special guests WICCA PHASE SPRINGS ETERNAL, SHOW ME THE BODY, GHOSTEMANE, NICOLE DOLLANGANGER, DISEMBODIED and TRAIL OF LIES on select dates. Pre-sale tickets will be available today, April 26 at 12:00 p.m. ET with all remaining tickets going on sale to the general public Friday, April 27 at 10:00 a.m. local time. 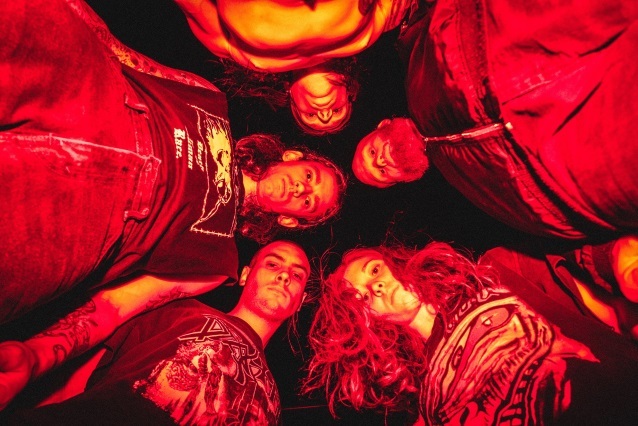 This spring, CODE ORANGE will perform at Concord, North Carolina's Carolina Rebellion (May 6) and Columbus, Ohio's Rock On The Range (May 20) before returning home to Pittsburgh, Pennsylvania for a hometown headline show at Mr. Smalls Theatre on June 1. Earlier this year, CODE ORANGE shared a new track, "Only One Way", which was released via Adult Swim's Singles Series. Recorded with producer Will Yip at Studio 4 in Conshohocken, Pennsylvania, "Only One Way" and its accompanying remix, "only1(the hard way)", mark the first new music from the band since the release of their widely acclaimed LP "Forever", which earned CODE ORANGE a Grammy nomination and topped several "Best of 2017" lists.